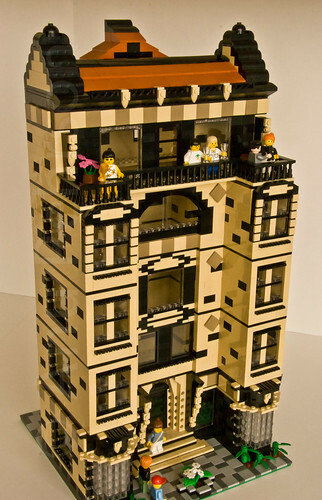 Brick Town Talk: Black and Tan - LEGO Town, Architecture, Building Tips, Inspiration Ideas, and more! Residential District - (BTT) Having just undergone a bit of a face lift, the Citibrick Building has seen a renewed interest among people in the neighborhood. The high level of contrast on this handsome facade really makes it stand out from the crowd.